In a controversial move GLSEN, the Gay, Lesbian & Straight Education Network, will be honoring Lionsgate Films with the Chairman’s Award at its 9th Annual GLSEN Respect Awards on October 19th. 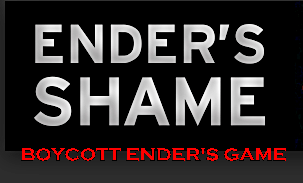 despite the LGBT communities major backlash and boycott of its upcoming November release of “Enders Game” which was written and is also being produced by outspoken homophobe and (ex?) National Organization for Marriage Board-member Orson Scott Card. Back2Stonewall reached out to Andy Mara, GLSEN’s press representative about the choice of Lionsgate as a reward recipient at this time and how rewarding such a company is counter to the concept of “respect”. Below is the response that received not from Andy Mara of GLSEN but from Julia Marella of Slate PR, a public relations firm based in Hollywood, C.A. Lionsgate has a long and rich history of creating LGBT-inclusive and affirming films. The studio has also been an industry leader in ensuring workplace protections and benefits for LGBT people. When Lionsgate acquired Summit Entertainment last year, the company inherited its library of current projects, including Ender’s Game. Though GLSEN flatly rejects book author Orson Scott Card’s support for the discrimination of LGBT people, we stand behind Lionsgate’s similar rejection of Card’s personal beliefs and its long-standing commitment to support the LGBT community. The question now is will GLSEN lose “respect” within the LGBT community for such an insensitive choice of an award? Enders Game GLSEN Orson Scott Card Respect Awards Skip Enders Game WTF? What the hell? So how much money did Lionsgate give GLSEN to honor them for making a movie based on the work of an outspoken hate monger homophobic piece of trash? Sorry Lionsgate, you can’t erase the hate. Sorry GLSEN you don’t speak for anybody anymore after caving for cash or whatever the hell you caved for.